At 1,600 square feet, the prefab structures are not exactly “tiny homes“, but their decagon shape only measures 32 feet across. The design is ultra-efficient, affordable, and can be custom made to suit individual tastes. For easy assembly, the structures come with a set of site-specific engineered plans that are guaranteed to qualify for local building permits. The homes can be built using 30 percent less materials than conventional structures of similar stature. Each home ordered comes standard with sustainable green windows, siding sheeting, and a waterproof coating. They can be equipped with solar panels on the roof as well. Due to the nature of the decagon design, which places the core of the home in the center, energy consumption is minimal. Heating and cooling the home requires minimal energy thanks to the close proximity of the rooms. According to the Environhaven team, an entire house can be heated with a just a simple pellet stove – even in extreme cold climates. 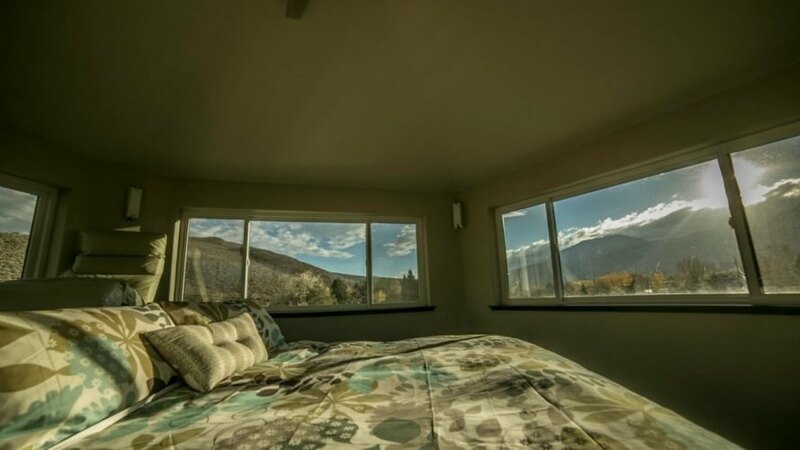 The many windows also help provide optimal air circulation during the warmer months while filling the home with a natural light. 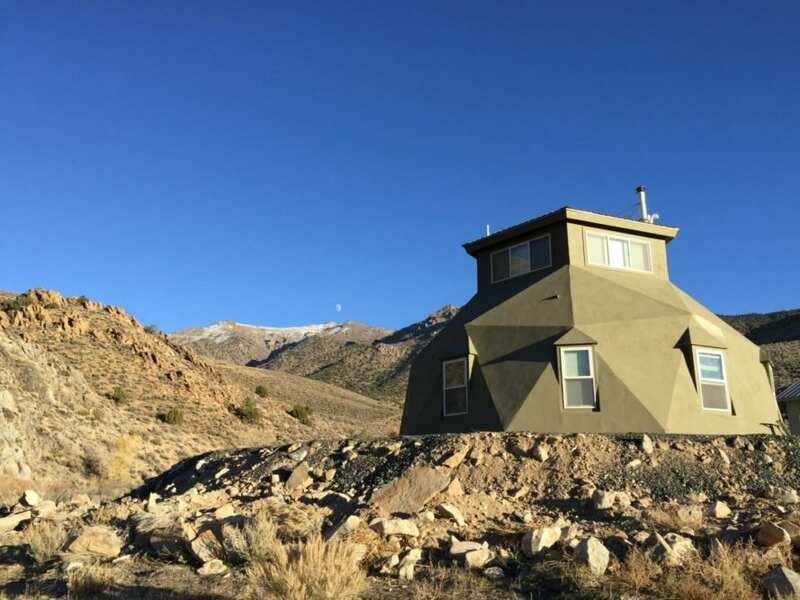 Geodesic homes are extremely energy efficient - and they're a great option for those looking to reduce their footprint while living off the grid. 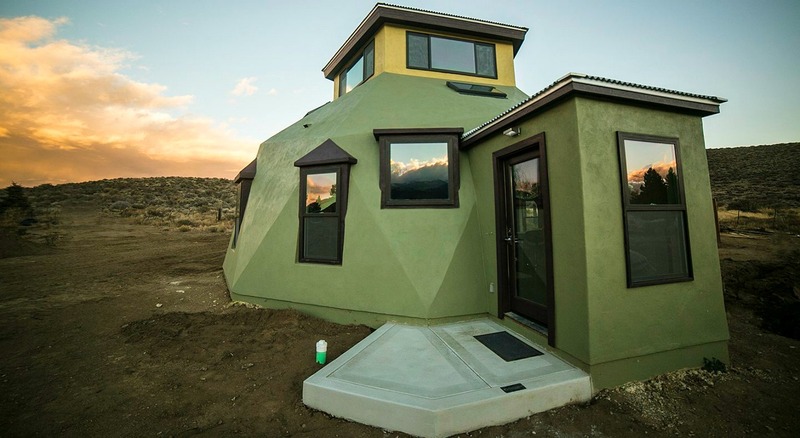 Nevada-based company, Envirohaven, is offering beautiful, custom-made "eco havens" that can be constructed virtually anywhere in just a few days. 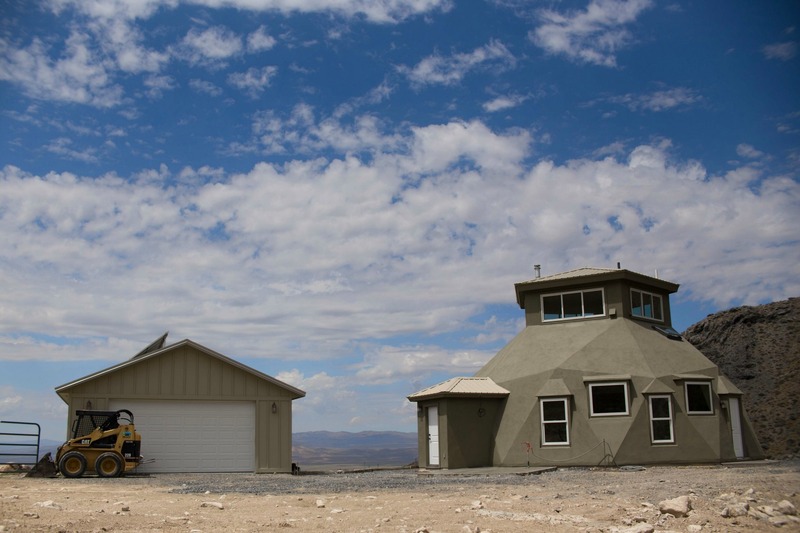 At 1,600 square feet, the prefab structures are not exactly tiny homes, but their decagon shape only take up a 32' in diameter. The structures come with a set of site-specific engineered plans that are guaranteed to qualify for a local building permits. The design is meant to be ultra-efficient, affordable and can be custom made to order. The home construction uses 30% less building materials than a conventional construction of similar stature. Each home ordered comes standard with sustainable green windows, siding sheeting and waterproof coating. They can be equipped with solar power to generate the home's energy. Heating and cooling the home requires minimal energy thanks to the close proximity of the rooms. Due to the nature of the decagon design, which places the core of the home in the center, energy consumption is minimal. 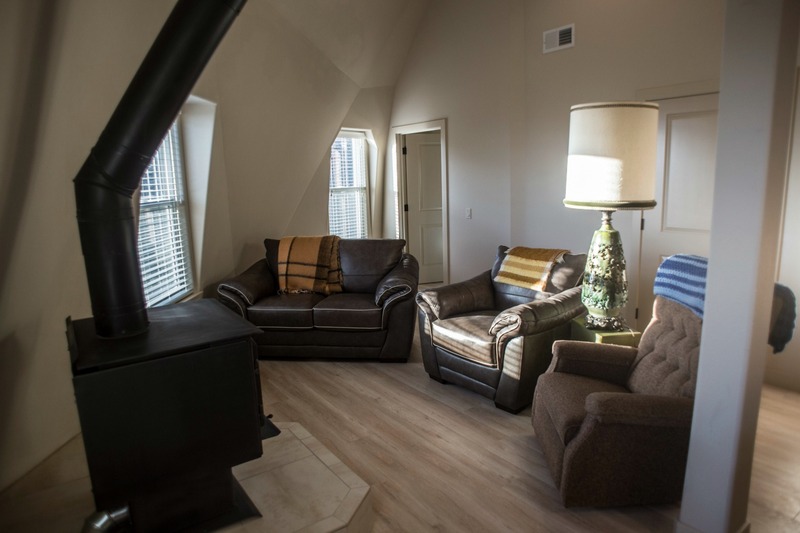 According to the Environhaven team, an entire house can be heated with a just a simple pellot stove, even in extreme cold climates. 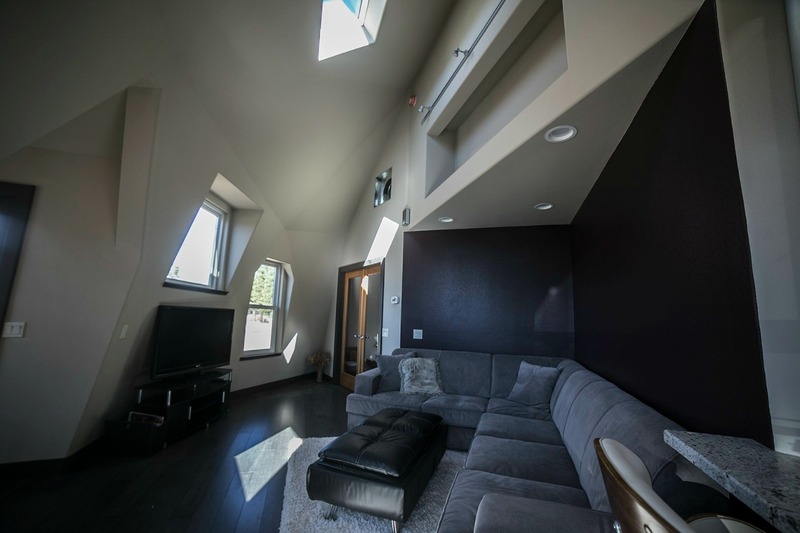 The many windows also help provide optimal air circulation during the warmer months as well as natural light throughout the home. The interior is open and spacious. Although the exterior may seem a little out of the ordinary, the interior of the home is comfy and spacious. 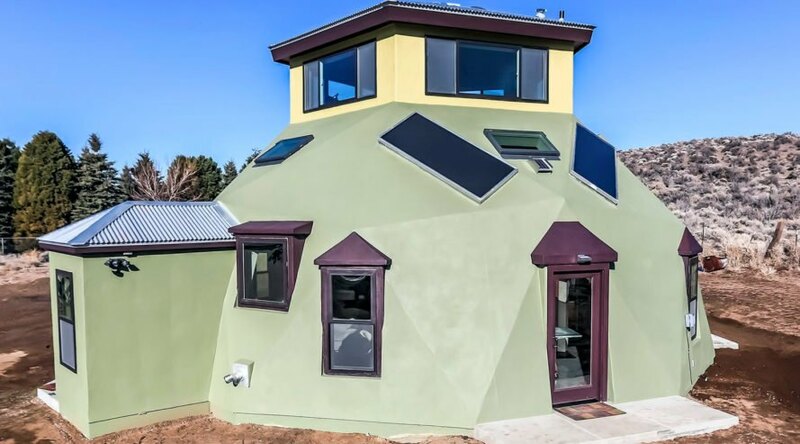 Due to the shape of the home, energy use is minimal. The home's have the bedrooms on the second floor. The interior is flooded by natural light. Windows throughout the home allow for air circulation and natural light. 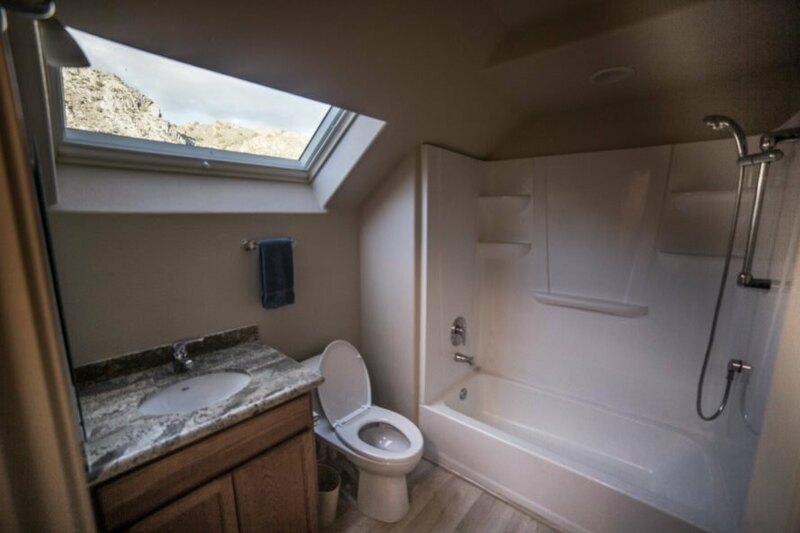 The abundance of windows provide spectacular views. The interior living space is comfortable and welcoming.